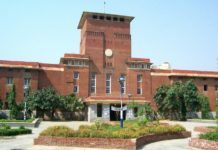 This time Delhi University has decided to carry centralized sports trials. The sports quota fitness trails began today. The trails started at 9 am today at the university polo grounds and will continue till 20th June. Students who excel in any of the sports can apply for admission through sports quota. 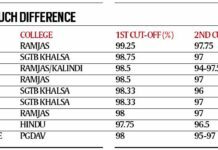 Delhi university will conduct 3 fitness tests to judge student’s strength , endurance and speed. The candidates for sports such as chess, archery & shooting need to clear at least 1 of the tests and the candidates for rest of the sports need to clear at least two of the tests. Colleges will begin specific sports trails from 23rd June. Test would of 50 marks. Candidates need at least 18 marks to qualify . Students will be marked on the basis of specific sports skill , performance ,fitness and all the certificates won by the candidate within the past 3 years. Certificates won before 3 years won’t be valid . Candidates who have participated and represented the country at international level don’t need to give any trails , they will get direct admission in any college he/she wants. 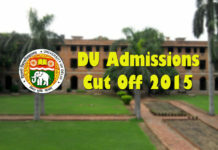 Students are required to submit the offline registration form along with self attested copies of all the certificates and an undertaking on a Rs 100 judicial stamp paper declaring that he/she shall play for the University during the course of their undergraduate study.